Home » Car Insurance – What is the right car Insurance for you? Car Insurance – What is the right car Insurance for you? 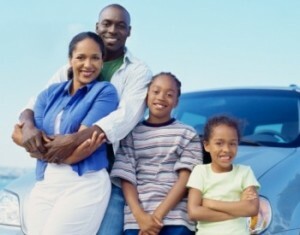 Car Insurance: It is imperative to secure your vehicle against any damage caused on the road. Your life is just as valuable and therefore having car insurance can also protect you from bodily injury as a result of a traffic collision. Don’t leave it to chance, get an instant car insurance quote right away. Vehicle insurance is also termed car insurance, motor insurance and auto insurance and it relates to financially securing yourself and your vehicle against any damage caused by road collisions. There are various car insurance companies that can offer you vehicle insurance. In order to choose car insurance that’s right for you, you need to consider the following. A comprehensive car insurance policy covers accidental damage, third party damage and theft. This is often the most recommended policy as you are provided with the most cover to your vehicle. Should you claim for accidental damage an excess will be charged by the insurance company. The excess amount is directly payable to the auto repair company. Excess can vary as it depends on the cost of the damage to the vehicle from which a percentage is calculated to estimate the excess charged to the insured party or policyholder. Third party damage is also termed liability cover and it protects another party, referred to as the 3rd party, from any damage or injury sustained from the first party, the insured policyholder. Third Party, fire and theft car insurance covers the third party’s vehicle and any other injury sustained to the third party by the first party. Fire and theft cover the policyholder’s vehicle from fire, lightning and explosion. Theft cover protects the vehicle from auto theft and attempted theft. Third party only car insurance covers the first party from accidental damage and it also covers the third party involved. This car insurance policy does not insure the policyholder to the extent that the comprehensive car insurance policy does. It is always recommended to choose car insurance for your own safety and protection should you be involved in a vehicle accident. Car insurance can also protect third parties from any injuries sustained to their vehicle or should they have suffered bodily injury. It is also recommended to ask for quotes from various car insurance companies. This will provide you with a better understanding of the premiums, excess and monthly installments. If your car is financed you will have to take out some form of car insurance before you can take the car onto the road. The value of your car is a very important indicator that you should ensure is correct. Use the website www.bookvalue.co.za to check the book value of your car.